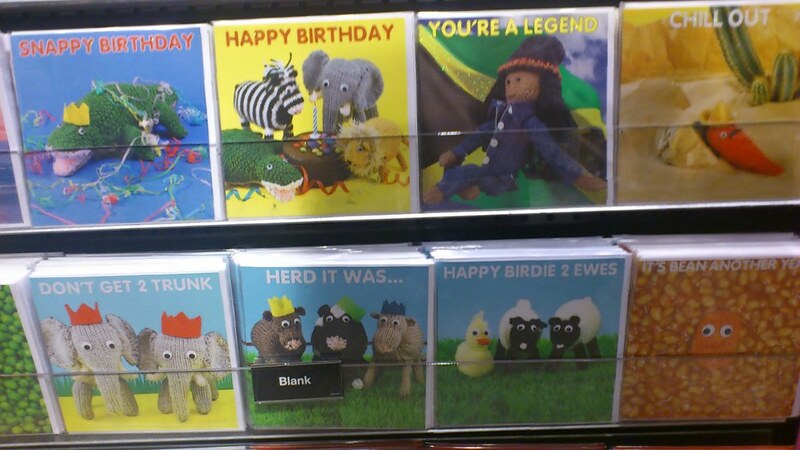 I work in a card/gift shop called Funky Pigeon, which gets pretty empty at times. It’s in these quiet moments that I contemplate the meaning of life, the state of the world, and possible future crochet projects. Here’s my top ten sources of inspiration! Another place I get ideas from is in the free London newspapers, the Metro and Evening Standard, in the fashion section. There, obviously, I get ideas for things I can make to wear myself, or to clothe dolls. I guess fashion magazines would yield a better result, but they’re not free lol. My first original pattern was of a character from ‘Hanamaru Kindergarten’ called Panda Neko, or Panda Cat in English. He’s super cute, and has a funny dance, which lead me to experiment with poseable arms and legs! I spend a large, almost an unhealthy, amount of time on computer games. It’s part of the reason why I took up crocheting again actually, just so I could step away from the gaming. 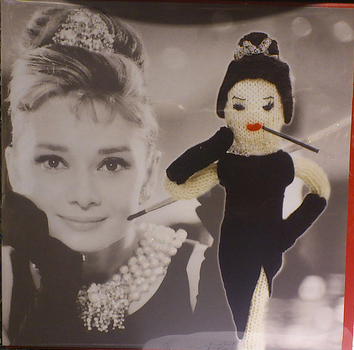 unfortunately, it has followed me, in that so many video game characters have been amigurumi-fied!. Mario, Sonic the Hedgehog, Kirby, Chocobo, Pacman, the list is endless! If you think a game or anime character is too detailed, just search for a ‘chibi’ version of the character. Usually the results would contain fanart of your selected char in a small, cute form with fewer details. If you keep up with whats ‘trending’ or is popular online, you could also get ideas from that. I’ve seen so many Nyancat knitted hats and scarves. If you’re looking to sell, you better get them made quickly, because some trends get old and forgotten rather quickly. They get a really big audience thought, and having a pattern or doll made on your own blog or website, would definitely get you some views. Theres plenty of occasions throughout the year which can be incorporated into your designs. In the UK, the next holidays will be St Patrick’s Day (17th March) and Mothers Day (18th March), then in April theres Easter. Occasions are pretty easy to use in my opinion. They’ve already got associated symbols and colour schemes. For example, St Patrick’s Day is an Irish holiday, so leprechaun, Guinness and Shamrocks are symbols, and green is the colour. Now think of something simple, like a cat or bear, add those symbols and voila! Your own design! This works for all occasions. Weddings, birthdays, new babies, even funerals! I love to make food in crochet. Things like cupcakes and doughnuts look yummy 🙂 Another thing you can do to make it unique is to give your food a personality. You could make girl/boy cupcakes, or animal themed. A quick image search of ‘amigurumi food’ will provide you with loads of pics. Most people put toy eyes and smiles on them for that cute factor. An example of mine are my animal-inspired onigiri – Bunnigiri and Elligiri. And so ends my top ten tips for places to get crochet design ideas. There are many other places of course, but these are the main ways I get my ideas.